Already soaking wet, I was five kilometers into the 2017 La Farola 28K road race when the rain increased. I scanned the wet faces of the elite Cuban runners grinding uphill alongside me. They were completely unfazed. After all, their buses had been two hours late to the start and they are accustomed to constant logistical hardship. A little lluvia was nothing to fret about. I was in Baracoa, Cuba, traveling with One World Running (OWR), a Boulder, Colorado-based organization that gives shoes to runners in developing countries around the world and also organizes the La Farola race, which draws elites from all over Cuba. 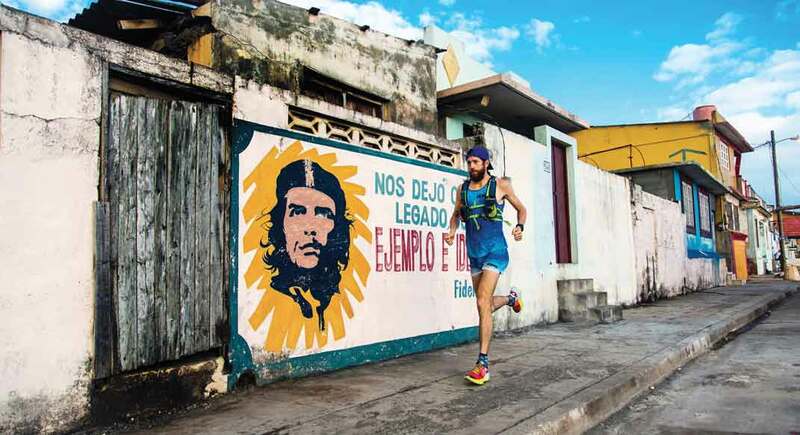 “Underdeveloped and full of potential” is how OWR founder Michael Sandrock describes the running scene he’s watched unfold in Cuba over the past two decades. Most runners have no expendable income for shoes or race travel. 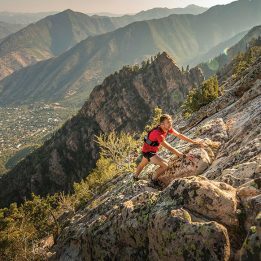 There are few running stores and hardly any sponsorship opportunities. It’s like ultrarunning was 40 years ago. It boils down to passion. Baracoa is one of many rural towns in eastern Cuba that feature countless unexplored trails and roads. The only land access is a four-hour drive on a winding mountain road—La Farola. Recognized as a showpiece of the Cuban Revolution, La Farola was built in the 1960s after the rebels led by Fidel Castro and Che Guevara overthrew dictator Fulgencio Batista. It arduously snakes through mountainous jungle, reaching almost 2,000 feet with views to the ocean and surrounding jungle. 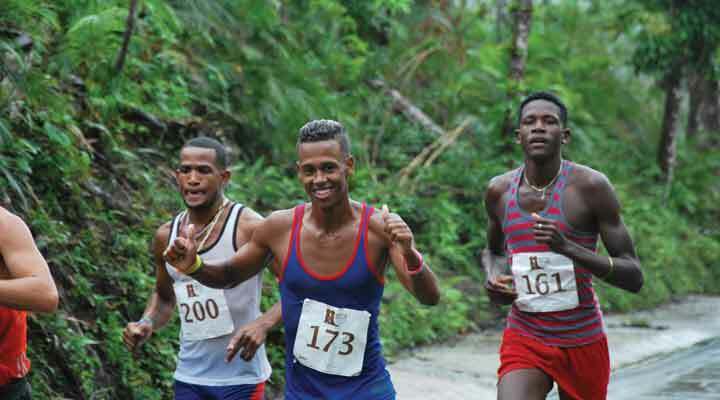 OWR started the La Farola race seven years ago as a way to draw Cuba’s best runners to the region, and in turn, to give every runner a pair of shoes. At the start line, I noticed a young runner hop off a 1950s bus barefoot. The rest of the runners’ shoes were visibly worn. “Most of these shoes are probably from last year,” said Sandrock. Thanks to a donation several years ago, more than half the field was also wearing Boulder Ironman 70.3 shirts. Runners without sweat-wicking material simply wore sun-bleached cotton. Inching alongside the elite men, I was flabbergasted at how low-key the scene felt. There had been no porta potties at the start line, and the rain-slick road had not been closed to vehicles. As we ran, Soviet-Era Ford Caminos (the standard vehicle in Cuba) precariously swerved around blind curves. Local farmers, grandmothers and kids manned the water stations, cheering excitedly while scooping cups of unfiltered water from a bucket. “Gracias,” I gasped, gratefully gulping the water, forgetting that my stomach wasn’t Cuban-river strong. Cuba is far from flat—it boasts impressive coastal mountain ranges, with 30-something protected national parks. Arguably the most tenacious trails are in the southeastern Sierra Maestra, Cuba’s highest mountain range. Gran Parque Nacional Sierra Maestra is home to Cuba’s tallest peak, Pico Turquino. It is also where Castro, Guevara and their rebels hid and planned their revolution. Running is a celebrated act of freedom and individuality amidst the rigidity of a communist regime. Cubans have little choice about their incomes and jobs, so freedom comes in the form of a passion: art, music, dance, sports. For many, like Ferria, that’s running. 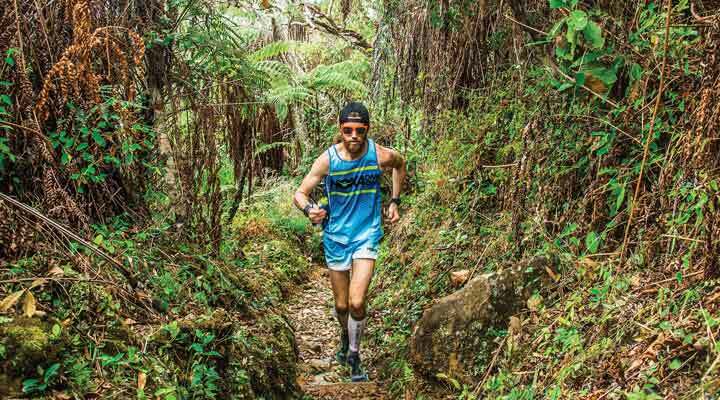 Running Pico Turquino requires more than just having a sense of adventure. It’s an unofficial military area, so you are required to reserve a guide at least one day before starting. But access to outside information—for example, the Internet—is expensive. Runners learn through word of mouth. Jean lives in Bayamo, a medium-sized town in eastern Cuba. He runs on sidewalks, dirt roads and the local university track. He works as a personal trainer, also doubling as a physical education teacher and coach. When he learned that I competed in ultras, he was flushed to learn everything he could in our few interactions. “How does it work? 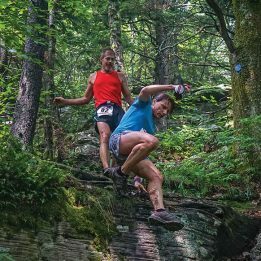 I plugged it in to charge, but it won’t track my runs,” he said referring to the GPS watch that was his prize for winning this year’s La Farola race. “Oh, it needs Wi-Fi,” I replied. Jean laughed, rolled his eyes and flung his hands over his shoulder like he was swatting a fly. The watch wouldn’t be useful in Cuba. Wi-Fi is only accessible in a few rare public Hot Spots, and you need to purchase an access card at a telecommunications store, which usually have hours-long lines. Local runners, unfazed by the rain at the 2017 La Farola race. Cuba’s only designated trails are in national parks, but rural towns are full of rugged, often unmarked routes. Everything rural is more or less trail. In Baracoa, you’ll find rocky dirt roads, technical single-track and grass paths. The region’s most prominent mountain, El Yunque—the anvil—rises 1,886 feet (575 meters) above sea level, and is said to be the one of the first sights Christopher Columbus reported of the New World. On my first day in Baracoa, two days before the La Farola race, I met Arnoldo Campos, the local co-race director, for a shakeout run. A svelte 2:31 marathoner and former Havana Half Marathon winner, Campos has been running his whole life. We met at six in the morning, just as the sun was rising over the coastal horizon, and headed for a mountain some 500 feet above. After two years living in Southern Thailand, where running is far from normal, I expected to be gaped at. We continued up streets lined with neat pastel, single-room homes. Few were derelict. Those that were, were victims of Hurricane Matthew. Campos’ modest wood home lost its corrugated-steel roof during the storm, which hit the Caribbean in October 2016. “It was scary, but no one died in Baracoa,” he recounted proudly. Five miles from town we turned onto a dirt road that snaked up the mountain. Homes became sparser and the terrain more technical. Soon we were on a palm-lined footpath. Topping out, we stopped to take in the view of Baracoa’s bay. Aqua waves rolled inland as hearty palm fronds swayed above us. Getting there: Fly to Holguin or Santiago. Schedule a car service to drive you to Baracoa, in advance. If traveling on the cheap—and if you have time—brave the local buses and expect delays. Lodging: Casa Particulars, Cuba’s Airbnbs, are a shot in the dark, quality wise. Hotels are the safest bet if you’re looking for a comfortable stay. Food: Get ready for lots of arroz congrí (black beans and rice), without much seasoning. Baracoa has delectably fresh seafood, so any pescado (fish) is a must have. Don’t dare leave without trying some guava, passion fruit, mangos and fresh-squeezed mango juice (jugo de mango). But be sure to wash the skin of any street-bought fruit with clean water. Drink: If you’re not running early, experience a night of Cuban rum, music and dancing. Get yourself a $2 mojito at a local dance hall and try to keep up with the locals’ hips. Good luck. Transportation: There are very few public transit options in Cuba. Taxis are the best way to go if you need to travel via car. Best season to visit: Summers (June through August) are very hot. Avoid these months if you want to run a lot. Find out more about trips with One World Running at http://oneworldrunning.com/, including next year’s trip to Baracoa for La Farola race, which is expanding to include non-Cuban runners. —Clare Gallagher writes and runs in Boulder, Colorado. When she’s not in the bubble, she seeks and soaks up as much diversity as she can get. 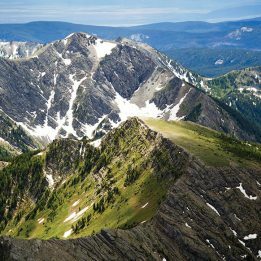 This article originally ran in the March 2018 issue of Trail Runner Magazine.